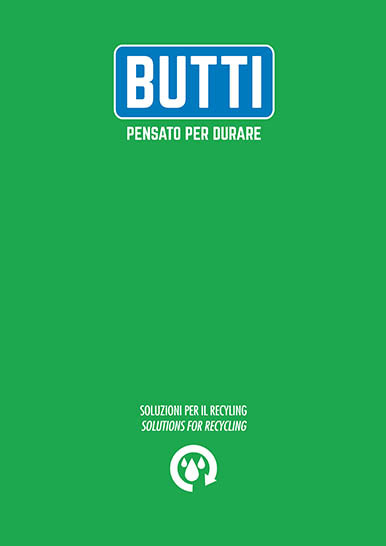 Solutions for recycling - BUTTI S.R.L. The environment is a precious asset and as such should be protected. It is with this principle that over the years we have innovated, using our experience in the design and production of recycling equipment. Our products are designed for cleaning and recycling waste materials. We believe that the care and sustainability of the environment are a priority for companies that want to invest in the future.